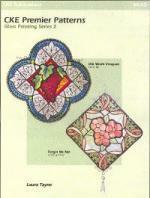 These new packs are great new projects for fusing, stained glass, mosaics and glass painting. Each pack contains a material list, detailed instructions, and even glass selection suggestions. Glass Craft Expo 2009 award winning design. 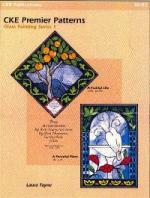 Features "hot mosaics", a combination of fusing and mosaics. 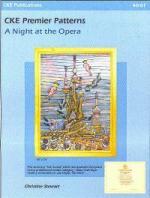 2 Glass panels featuring painting adornments. A Fruitful Life - 13.5"x13.5", and A Peaceful Place - 10"x15"
Materials list and instructions included. Old World Vineyard - 14"x14", and Forget Me Not - 11½"x11½"
3 Fusing Projects featuring wildflowers. Complete materials list, System 96 Glass suggestions, and detailed instructions included.